Rugged wheels with impact-absorbing housing. Large U-shaped zippered main compartment with storm flap. 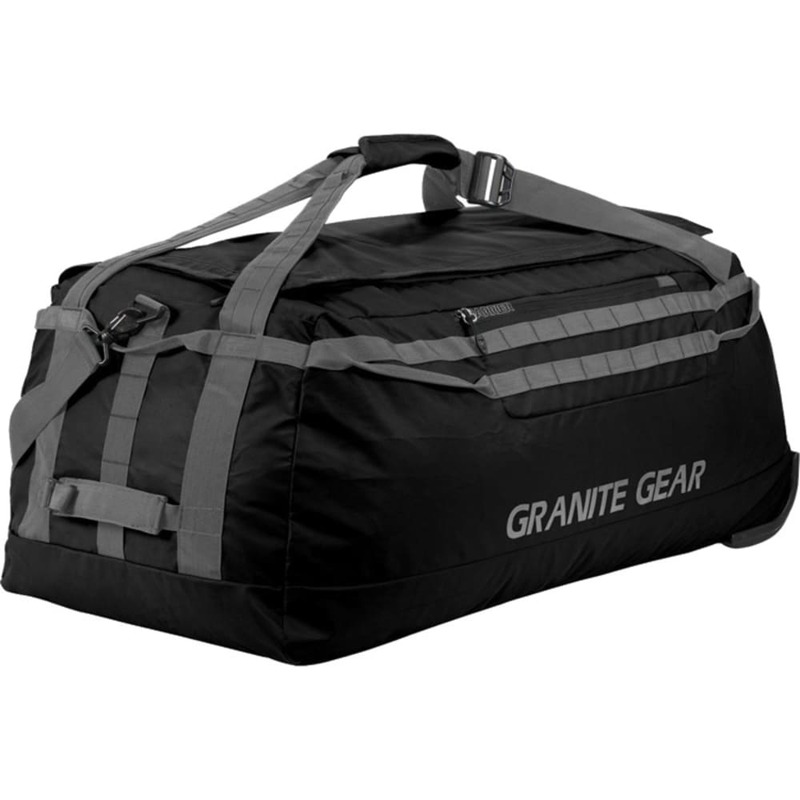 Fully packable duffel design packs into a carrying case. Carrying case attaches to duffel adding an extra compartment. Complete taurpalite fabric construction for maximum protection against elements. Reinforced duffel handle straps with padded, floating handle wrap double as padded backpack straps. Load stabilizing, adjustable and removable sternum strap. Barrier zipper tricot lined pocket for valuables. Multiple webbing haul handles. MOLLE lash points for easy attachments. Removable, adjustable shoulder strap.